A Committee that firmly rejected making a decision earlier this year as they were unhappy with the information provided are meeting again this week, and appear to have had answers to many of their questions. The Democratic Services Committee are re-reviewing the topic as after their last meeting – which was described by one councillor described as being a ‘profoundly unsatisfactory’ situation – things have been being clarified further due to two further information meetings being held. Question: Clarification on whether archived webcast recordings could currently be accessed by Members and if so, confirmation of the procedure. Answer: Archived webcast recordings can be requested from Public-i at a cost of £75 per recording. Question: Confirmation on who owned the webcast copyright and if the Council came out of contract with Public-I would they keep the webcast archives. Answer: The Council owns the copyright of the webcasts. Public-i only retains any archives during the contract period. Public-i have recently indicated that they will be deleting their archive records, but before doing so they will make provision for the Council to bulk export webcasts direct from their servers free of charge. They are currently working on the functionality of this which should then be available in the next few weeks. The committee established a Task and Finish Group to consider the webcasting issues raised at the last meeting in more detail, the report notes they met on the 15th June and and 29th August. Inhouse webcasting appears to be ruled out as ‘not a viable option’ due to lack of resources, and the overall Council ICT Strategy ‘which is the purchase of hosted solutions’. After the last meeting Wrexham.com published a list of Public-i features from their website, that noted transcription as an option. This is mentioned in the new report, however the free Public-i service is deemed as “not providing a sufficiently accurate transcript for publication” and manual corrections would cost too much. The Task and Finish Group also reviewed the archiving of webcasts, looking at if the 6 month storage of webcasts is possible via the Public-i service and then use Google’s Youtube service for longer archives – via the existing Wrexham Council youtube channel that has content dating back five years. It is noted the Public-i system has ‘index markers’ allowing quick clicking or tapping through to find who is speaking and on what agenda item, something that Youtube does not specifically offer, and Public-i do not have an export function to tie in the similar features Youtube has. The desire for Wrexham Council to keep the videos locked down for non-public reuse is noted, “When using YouTube to store webcasts there is a potential for video clips from recordings to be used elsewhere”. Practically speaking that means we can embed the press conference from four years ago (below) announcing HMP Berwyn coming to the town, however we can’t embed or refer back to the previous planning debates, or embed a clip if the prison was mentioned last week in a meeting. It appears Public-i are considered bigger than Google, or at least considered to be more sustainable long term, and are better at having back ups of data as the indications in the report (and in responses to FOI requests to us) are there are no Council owned backups in place under the current system. Information is provided that notes: “The assessment of viewing figures also identified that the majority of views were during the month the meeting was broadcast and the following month. At the previous meeting one councillor noted the historical importance for generations to come of the footage, and therefore favoured longer term public retention. Our meeting report captured the mini-barney over the initial webcasting procurement, as Cllr Baldwin challenged Cllr King (who was Lead Member at the time) over if what Wrexham has is what he signed up for. If there was a video webcast that we could embed or reference, there would be no argument and unanswered question on who is right or wrong on that debate. 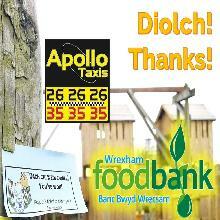 Today we are also running this story about a planning appeal, that directly links to an ‘expired’ Wrexham Council webcast as part of it’s evidence, that reads: “Whilst the Committee Minutes may loosely provide a reasonably accurate record of the debate the Committee Webcast recording is a more accurate record…” with said record no longer visible. To give the context of the progression of the digital rules, several months before that “Webcasting Protocol” was agreed we tweeted from a meeting for the first time, something that is commonplace now without a second thought, but back then was a first and required specific permission. We asked the Chair if we could transmit & recieve data via mobile devices during tonights meeting.The Chair said yes.Thus transmitting this! We have previous asked councillors if would be looking to open out the copyright / webcasting rules via changing the council Constitution – perhaps making all council content ‘opendata’ via things such as creative commons licenses. If councillors proceed with the recommendations before them this week, that include asking for future reports “A review of the current arrangements for archiving recordings to consider alternative methods for longer term availability of recordings” and “The Council’s Webcasting Protocol be reviewed taking into consideration the Council’s ICT & Digital Strategy 2017 – 2020”, the debate and new policies could come some point next year. Councillors are also being pointed to recommend to extend the current webcasting contract for a year, which is an option under the current agreement. That will mean all Full Council, Executive Board, both Planning Committee meetings and a maximum of 10 hours for Scrutiny Committees with the facility to broadcast meetings in English and Welsh will take place, which are listed at 6 month archive facility £14,059 or 12 month archive facility £14,837. In addition councillors will be pointed towards looking at the additional hours to cover more Scrutiny meetings, which are listed at 20 hours £560 for 6 month archive facility and £755 for 12 month archive facility ‘bundles’. The reasoning is detailed as allowing the extra year to be seen as a ‘trial period’ for the extended coverage to inform any new contract. Councillors will meet to consider the report, and due to the timescales involved will have to make a decision on what they are going to put forward as a recommendation as the current three year coverage ends in January. 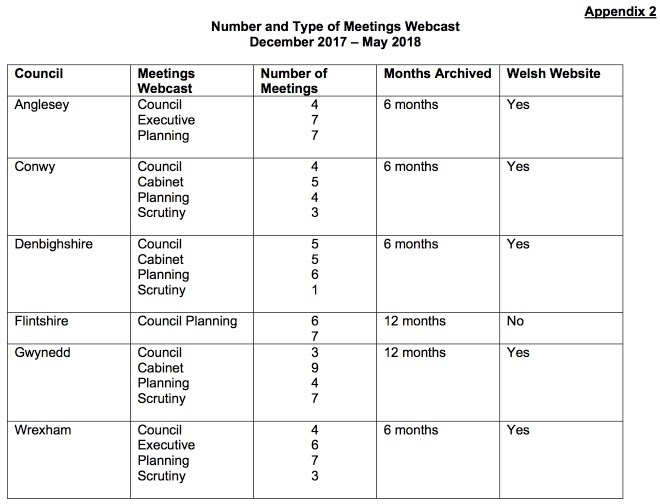 Any failure to make a recommendation could mean webcasting stops in January until the decision making process completes – although at the previous meeting councillors were keen to stress they did not want to see that happen. 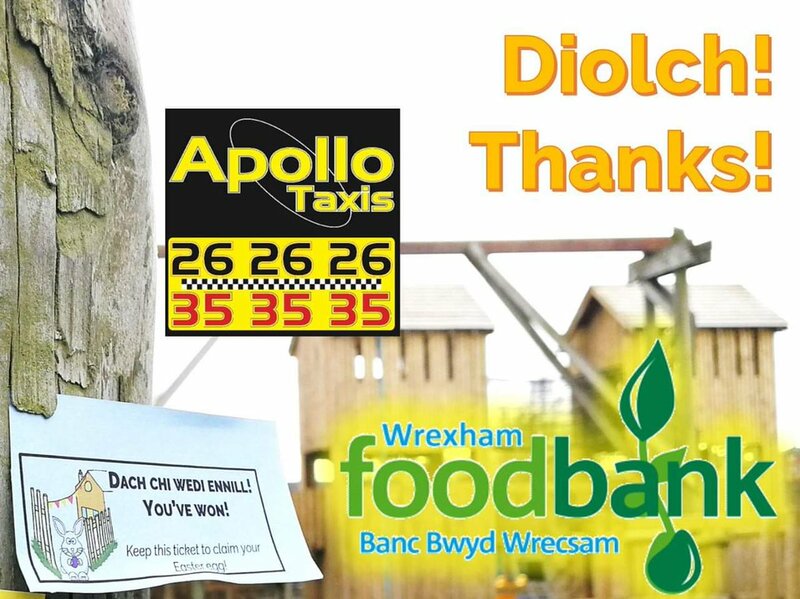 Video from four years ago from Wrexham Council. No meeting videos can be similarly referred to, or embedded. 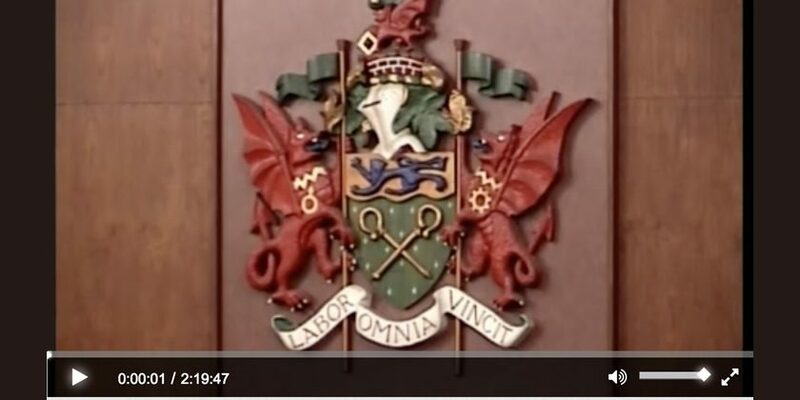 Top pic: Council coat of arms, as seen via the webcast.